This plugin will fix soul gems such that they never lose their charge once filled with the correct soul, and changes the soul trap spells and enchantments so you never underfill a soul gem. Acquisitive Soul Gems - Updated Translation Portuguese-Brazil Necessário ter o MOD original. Added option in MCM menu to toggle notifications upon Soul Trap success or failure. Added "Unofficial Skyrim Legendary Edition Patch.esp" as a master file, to prevent users from accidentally installing ASG without meeting the requirements. Fixed an issue where the player would sometimes get additional and incorrect notifications after trapping a soul. 3.0.0 - Added soft requirement of USLEEP (soft requirement meaning: USLEEP is not a master of "Acquisitive Soul Gems.esp", but is nevertheless required by ASG). The new script is built off the USLEEP patch for Black gems, and any fixes to that USLEEP script in the future, will be incorporated into ASG if applicable. Patches for other mods that modify soul trap spells should no longer be necessary, as the ASG.esp now only modifies two GMST forms, and nothing else. Provided another mod uses magicSoulTrapFXScript in the usual way, even for new soul trap spells or effects, it is compatible. A limitation where if two enemies died at exactly the same time, only one could be soul-trapped, has been removed. 2.5.6 - Smoothed out a few edits introduced by USKP over the past few releases. 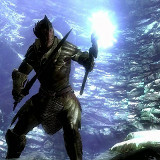 2.5.5 - Another compatibility update for the Unofficial Skyrim Patch. USKP 2.0.1 added a fix for The Black Star and black soul gems, so they only hold black souls like they're supposed to. ASG already did this so there is no functional change between 2.5.4 and 2.5.5, but USKP also did some other stuff that ASG needs to account for. 2.5.4 - Fixed message doubling when using Soul Stealer. 2.5.3 - Added notifications of the size of the soul captured. 2.5.2 - Scripting improvements. No functional change from 2.5.1. 2.5.1 - Compatibility update for Unofficial Skyrim Patch. 2.4 - Fixed Soul Tear. 2.2 - Added Soul Tear shout. Versions after this point require Dawnguard is installed. 2.1.1 - Compatibility update for Unofficial Skyrim Patch. 2.1 - Fixed issue with Soul Stealer perk not using the correct logic. 2.0 - Added additional functionality for checking gem size when filling a soul, similar to Smart Souls by shadeMe. ATTENTION: While I reserve the right to delete off-topic comments and trolling from my threads, I WILL NEVER BAN ANY USER FROM ACCESSING ANY OF MY FILES, NO MATTER WHAT THEY POST IN THE COMMENT THREAD. THERE ARE NO EXCEPTIONS TO THIS RULE. Mysticism - The Lost Art adds spells and powers to Skyrim with a view to partially restoring the 'Mysticism' school of magic from Oblivion, Morrowind, etc. Soul Harvester allows you to more intelligently trap souls into soul gems, helping you to avoid accidentally trapping a soul into a soul gem which is too large for it, effectively wasting that gem. If you are familiar with "Smart Souls" or "Acquisitive Souls Gems", this feature is very similar - and, once you train your Conjuration skill enough, it is the same as having one of those mods installed. A Conjuration skill of 20 will allow you to tell if you don't have a matching soul gem for a soul you are trying to trap, as soon as you cast the spell and before you finish off the target and capture the soul. This gives you a chance to let the effect expire on the target, or drop the larger gems you don't want to waste by capturing the soul, or even acquire a matching soul gem somehow. Importantly, note that you can enable the full Smart Souls functionality immediately in the MCM, if you don't want to screw around with the leveling. Finally, Soul Harvester does one more thing: it fixes the bug where a partially-filled Soul Gem can be "emptied out" by dropping it into the world (and, that partially-filled gems don't correctly stack). With Soul Harvester, if you capture a soul into too large a gem, there is no getting it back out. This was done to make the ranks actually worthwhile. If you don't like the removal of this bug/exploit, again remember that you can just enable the Smart Souls functionality from the MCM, which removes the need to use the exploit in the first place. 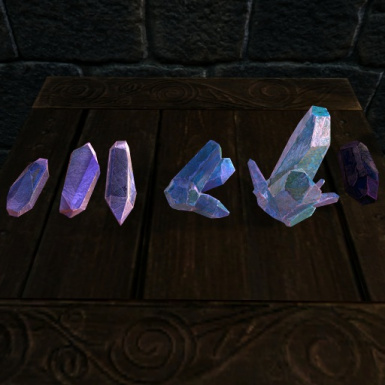 This mod knocks some sense into the souls of the various denizens of Skyrim, keeping them from entering soul gems that aren't of the same level/quality as they are. Also displays the quality of the soul being captured. And prevents black soul gems from providing refuge to white souls. This mod is based on ACQUISITIVE SOUL GEMS In fact, it's almost the same mod. Just like with that one, this mod makes it so you never trap anything less than the maximum size soul a Soul Gem can handle. "Almost the same mod? What's the difference? ", you say? ASGM now has localization, which means that the mod is in your language, not just English. Supported languages are Czech, English, French, German, Italian, Japanese, Polish, Russian, and Spanish. Acquisitive Soul Gems changes the way soul-trapping works in Skyrim so that you'll never 'waste' a soul gem again, such as by trapping a petty soul into a grand gem, or a common soul into a greater gem, etc. With this mod, petty souls only go into petty gems, lesser souls only go into lesser gems, and so on. If you try to trap a soul, but you don't have any gems of the right size, you'll just fail to trap the soul. 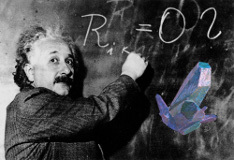 So for example, if you try to trap a common soul, but you only have an empty greater gem, then when that creature dies its soul will escape rather than partially fill the greater gem like it normally would in Skyrim. It also changes black gems, including the Black Star, so that they only hold black (i.e. human and elf) souls, not the souls of creatures. This is how it's indicated to work in in-game texts, and how it worked in Skyrim's predecessor, Oblivion. Place the contents of the archive in your Skyrim/Data directory. Works with Nexus Mod Manager. To uninstall, make sure you don't have any soul trap spells active, save the game, then remove the files. As of 3.0.0, patches for other mods that modify soul trap spells should no longer be necessary, as the "Acquisitive Soul Gems.esp" now only modifies two GMST forms, and nothing else. Provided another mod uses magicSoulTrapFXScript in the usual way, even for new soul trap spells or effects, it is compatible. As this version duplicates and expands upon the functionality of Smart Souls (without requiring SKSE), it should not be used in conjunction with it.